If I adopt a style of not consulting, and of doing it alone, the country will not have the kind of harmony it has today. My problem is perhaps that I'm too much of a democrat for this time of the country's life. The next Afghan presidential election is in 2009, and Karzai has said he doesn't plan to run again. 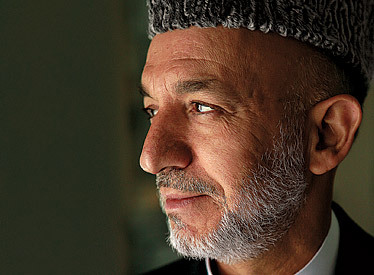 ------ Karzai's biggest test, and his country's, will come when he is gone.